(Natural News) Today The Atlantic, a fake news propaganda rag of the lunatic Left, called for the impeachment of Trump. That’s because Leftists have reached “peak panic” mode as rumors are circulating that Ruth Bader Ginsburg is seriously ill and will soon either retire from the court or pass away. 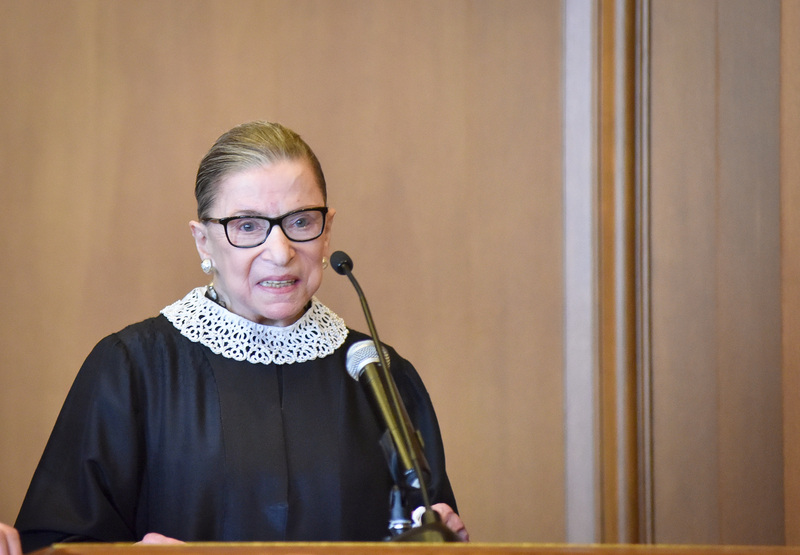 The Santa Monica Observer, the same small paper that correctly reported RBG’s cancer condition before it was widely acknowledged, is now reporting that RBG has contracted pneumonia and will retire from the U.S. Supreme Court “in January, 2019.” Astonishingly, the story was first published by the SM Observer in September of 2018, demonstrating once again how the paper was months ahead of everybody else. Left-wing propagandists (i.e. “journalists”) are fully aware that if Trump remains in office for a few more months, he will be able to appoint yet another conservative justice to the U.S. Supreme Court. This is why there’s total panic across the Left-o-verse; because the prospect of a 6-3 Supreme Court with liberals out-voted two to one is an unbearable thought to uber-liberals. These are the same people, remember, who are triggered by the word “family” — a concept that causes them to break down into total panic. The Left has, for decades, relied on the Supreme Court to establish “law” in America that could never get passed on Congress because it would be too unpopular. Abortion, gay marriage, union fee confiscations from workers and many other issues have all been dictated by the court, often in complete contradiction to the will of the People as reflected through Congress. Last week when I appeared on the Alex Jones Show as a health commentator, I publicly predicted that Ruth Bader Ginsburg would be gone from the court before the 2020 election. Privately, I have long thought she would not even make it through 2019, even as I have also publicly offered to help her survive cancer with natural medicine strategies if only her staffers would reach out for advice. Then again, establishment people frequently die from their twisted beliefs in toxic western medicine, and Ginsburg appears to be no different. She underwent chemotherapy for a previous bout of cancer several years ago, and the chemo is no doubt what’s killing her now. I don’t wish death or suffering upon anyone, including Ginsburg. But as much as I don’t believe in being vindictive toward wrong-headed SCOTUS justices, I do believe in cause and effect. If you poison your body with chemotherapy, it will eventually kill you. Even if you sit on the bench. RBG is not immune to the laws of chemistry. None of us are. Thus, Ginsburg appears to be suffering the consequences of her own unwise decisions, and a person who would poison their own body in a distorted, ignorant effort to “treat” cancer is also the same kind of person who would advocate the poisoning of a nation with wrongheaded policies that kill the patient, so to speak. Her self destruction with toxic chemotherapy is a reflection of her failed ideology which is also destructive on a national scale. Chemotherapy is killing Ginsburg… so why isn’t the Left protesting the quack-filled cancer industry? Chemotherapy causes immunosuppression, and if Ginsburg really has pneumonia as is being reported by the SM Observer, her body’s ability to respond to that infection has already been severely compromised by the chemotherapy poisoning. It’s also relevant to point out that chemotherapy causes “chemo brain” — a form of brain damage caused by the chemical weapons that are mislabeled “chemotherapy agents.” Ginsburg’s chemo brain has been obvious for years, and the toxic effects of chemotherapy are increasingly evident in her toxic court decisions that poison the nation with what might be called “judicial toxins.” Like all liberals on the court, Ginsburg has zero respect for the rule of law in America and believes that the role of Supreme Court justices is to override both the legislative and executive branches of government with a fanatical progressive agenda. Far from operating with humility and honor, Ginsburg strove to assert false power over the law of the land by inventing intent where non existed, all while ignoring the real intent of our nation’s founders who specifically limited the power of the Supreme Court in order to halt the rise of the very kind of left-wing tyranny we’re seeing today. Ginsburg’s imminent retirement from the highest court is a tremendous gift to America for the simple reason that her ideology is destructive; her cognitive function has been chemically impaired; and her continued existence on the court remains a threat to the individual liberties and civil rights of all Americans. We do not celebrate the illness of anyone, but we do celebrate the restoration of health for our constitutional republic. Again, we don’t wish her any harm or ill-will, but we recognize that her retirement from the court is a blessing for the future of our nation. Barring some unlikely miracle, RBG will be gone from the court in the next few months, and the battle for the next Supreme Court nominee will begin. If you thought the Democrats’ total circus of lunacy surrounding the Kavanaugh confirmation was a spectacle, you haven’t seen anything yet. The radical Left will go completely insane over Trump getting to nominate yet another conservative to the court: Most likely Amy Barrett. This is why the lunatic Left is going for broke right now, rolling out massive censorship, calls for impeachment, trying to block Trump’s State of the Union address and more. 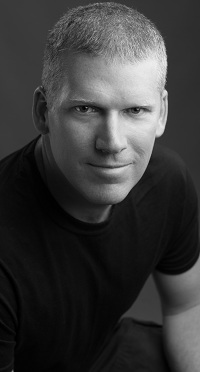 They are about to be defeated for generations to come, and if Barrett gets confirmed, you’re going to see liberals leaping off bridges and tall buildings just to stop the torture of every waking moment, living in a society where the Supreme Court is not run by radical activist liberal judges.